Join Lincoln Village in our month-long celebration of Wisconsin sports. 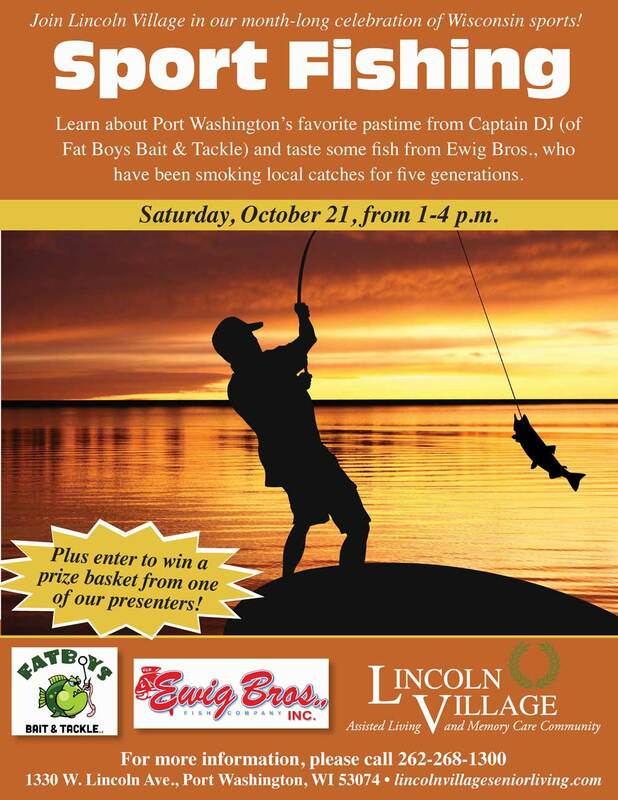 Learn about Port Washington’s favorite pastime from Captain DJ (of Fat Boys Bait & Tackle) and taste some fish from Ewig Bros., who have been smoking local catches for five generations. Plus, Enter to win a prize basket from on of our presenters. 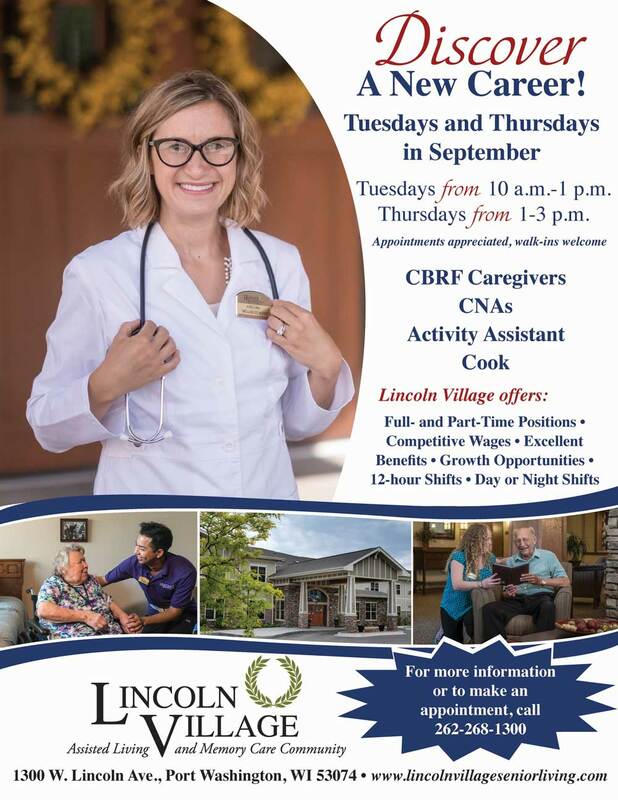 On Tuesdays and Thursdays throughout September, Lincoln Village is holding Career Discovery days! Join us on a Tuesday between 10 a.m.-1 p.m. or on a Thursday between 1 p.m. and 3 p.m. to discover your new career. We have openings for CBRF caregivers, CNAs, cooks/culinary aides and an activity assistant.